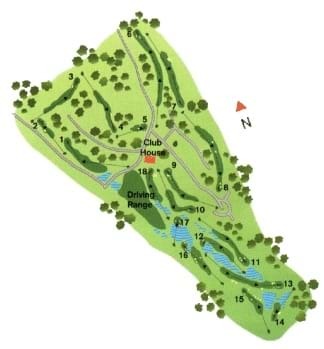 This is a highly original course with two sets of nine holes that have completely opposing characteristics. The spacious practice area is well used by a number of professional golfers in the period before the tournament season begins. Bordering the 18,300 hectares of Natural Park of Ria Formosa which provides a habitat for many species of birds and has much interesting vegetation, Pinheiros Altos was designed by Ronald Fream of the USA. Later, the course was redeveloped by Peter McEvoy and Howard Swan. This is a highly original and distinctive course, with two sets of nine holes that possess completely opposing characteristics. While the first nine holes are over rolling sandy undergrowth with gentle pine trees, the shorter second half runs through hills dotted with lakes that present the main obstacle for the golfers on this course. Since its inauguration in June 1992, the course has gained a reputation as the favourite pre-season practice ground for several of today's top professional golfers. They are drawn to the large practice ground which includes three putting greens, areas for bunker, chip shots and several greens. There are also comprehensive programmes of tuition for golfers of all levels. Weekly programmes with individual lessons include video analysis of golfers' swings.